The incredible Wattpad fans of True Born have been asking: When is the rest of this book coming out? When do we get to read more? I’ve replied that True Born is now under consideration by various presses. Hopefully I’ll have some news soon. I admit, though, I’m not sure these avid readers know what I mean by this; most readers don’t know what it takes to get a book to market. With that in mind, I’d like to walk those who don’t know through the painstaking and heroic process of publishing a book. You write. You rewrite. You argue with your friends, your computer and your pets. Don’t be fooled: publishers these days don’t care about incredible, potential award-winning half-finished manuscripts. They want a shelf-ready, polished gem of a manuscript. At the point when you think you’ve whittled your creation into a masterpiece, go back and do another four months of editing. You might then be ready to submit your work somewhere. Your agent doesn’t like it. Your agent does like it. Literary agents are the gatekeepers to the publishing world. I have published two novels with a reputable small press without an agent, but I am in a minority and very, very lucky. Drawback? Small presses typically don’t have the marketing capacity that large presses have. Hence, to have your book read by anyone other than your relatives, you’ll need either a degree in marketing or a literary agent. I vote for the latter. Like the ancient figure of Jason, you will likely search for years for an agent that’s a good fit for you. Luckily, by then you’ll have written dozens of novels and you’ll be ready for them. The agent, however, might not be able to see the genius in every one of your offerings. Don’t be offended. Agents are people, too. Your work is sucked into a black hole of epic dimensions. 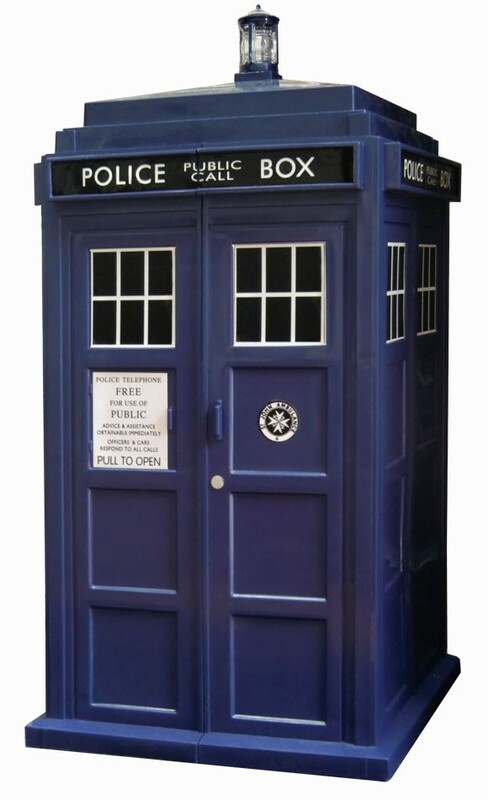 Think of literary submission like waiting for Doctor Who’s Tardis time machine to return to your specific dimension in your exact time line: it simply isn’t going to happen. What really happens is that your agent submits your work, and you both wait. And wait. And wait. Shake it off. Get back to work. Some editors just don’t like red heads. There’s no law – Murphy’s or otherwise – that says your book (or series) won’t be picked up by a literary imprint. In fact, as evidenced by the millions of books on the market right now, books are being offered publishing deals all the time. Maybe yours or mine will be one of these lucky, lucky creations. But don’t take it too hard if it isn’t. There are always the examples of Harry Potter creator J.K. Rowling, 50 Shades of Grey author E. L. James, and the great literary figure James Joyce to fall back on. Their creations were initially refused by just about every press in existence before someone took pity on them and published them to massive acclaim. Publishing luck is stray – like an archer with an eye infection. You can publish with a small press but somehow also land a French translation deal, as I did with my first novel, The Originals. Maybe you’ll still be wriggling on the hook, waiting for the presses to get back to you, when someone tells you they’re interested in optioning your unpublished manuscript for film. You will go grey, just not the Christian variety. If you think any of this happens quickly you are sorely mistaken and need to give yourself a hard shake. Expand your timeline to the evolution of the dinosaurs and you’ve gotten somewhere in the neighbourhood of how long it takes to get a book out once you’ve pulled off the impossible and sold your creation. Now comes the hard work: draft after draft of rewrites, followed with a chaser of excuses from your editor as to why it took him or her six months to get back to you on your manuscript and why you’ll likely miss the print window you were assigned. With a small press, the publisher will likely take the summer off to go fishing and neglect to tell any of his or her authors. He or she will forget your name (this actually happened to me) and, once published, will forget to tell you that your book was a finalist for a literary award. You will make no money and sound like a pompous fool (even to yourself) when admitting to your friends at a dinner party that you have published two novels that no one has ever heard of and no one but your grandmother has ever read. The publishing process is like that yearbook signing ritual in high school: you walk away from a five-year epic voyage with nothing but a collection of cringe-worthy comments and a ton of experiences you’d as soon forget. You may not even walk away with a publishing deal. But here’s the thing: after you’ve had time to sit back and reflect, you’ll realize that you wouldn’t have had it any other way. You’ve learned something. You’ve gotten somewhere, even if it wasn’t where you wanted to be. Truth be told, you’ll probably learn what I did: when you’ve got writing in the blood there simply is no other option (unless your dream is to be a blogger, which is free and fun). Eventually, even if you’d rather not, you’ll move on to the next novel. And, like starting college, the fun starts all over again. Tags: 50 Shades of Grey, advice, big press, Christian Grey, Dr. Who, E.L. James, editors, fantasy, fiction, film optioning, Greek mythology, Harry Potter, how-to, J.K. Rowling, James Joyce, Jason, literary agents, literature, publishers, publishing, publishing houses, publishing imprints, small press, storytelling, Tardis, The Originals, translations, True Born, Wattpad, writing. Bookmark the permalink. Your publishing 101 reminds me clearly why I self-publish. I admire your sticking power. it sounds absolutely horrific. good luck with your latest book.